This... is a big deal. What is the Incarnation? Why is this is a big deal? Why did God have to become man? The four reasons from the Catechism. Does this matter to us? Do we know of Christ or do we know Christ? Why do we bow? Because this is a big deal. What does incarnate mean? In means in caro means flesh. In the flesh. Why did God became man? 4 reasons from the Catechism. According to the bible, what is the greatest way to show one’s love? Does that matter to us? How do we enter into communion with God? Eucharist. Let’s go back to the time of Moses, and the Israelites, and Egypt. Take this, all of you, and eat it: this is my body which will be given up for you (cf. Mt. 26:26-28). Jesus becomes the ultimate sacrifice, THE Lamb of God. This is what every Mass is all about. Why we bow why we kneel. When we look at the priest who has become persona cristi, becomes Christ, lifting His body up. In Scott Hahn’s Rome Sweet Home he talks how this is either complete heresy or complete and total truth. No in between. 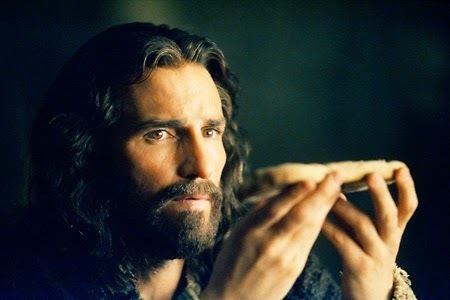 When we look at the Eucharist: Are we worshipping bread? Or are we worshiping God the Son? What would you do, how would you live, how would you act, how would you breath, if you remembered someone died for you, that someone died so that you may live? This Lent I challenge you to not just know of Christ, but to know Christ.